1. Nobody understood Theranos’ product. Theranos’ small-sample blood tests were supposed to be executed using a device named “Edison” that accelerated diagnostics, lowered costs, and democratized lab work. But the device never worked, something that the company concealed. Holmes’ claims about the technology evidently confused experts for years. 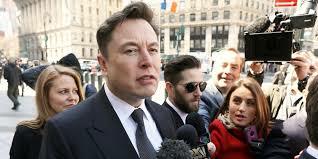 Tesla staged an IPO in 2010 and for nine of its 15 years in business has been compelled by law to expose its financials four times a year. Theranos was founded in 2003 and had no legal obligation to report its financials until it collapsed in 2018. An IPO isn’t a perfect mechanism to open up a company to scrutiny. Holmes dropped out of Stanford to start Theranos when she was 19. She had no background in business nor startups. Musk sold his first company in 1999 and parlayed that success into another company that would eventually become PayPal. 4. Theranos’ entire business model was about competing on price. Holmes talked a good game about empowering the individual to control their own health, but Theranos’ entire business plan was essentially to make blood testing faster and cheaper. Its competition was the established blood-testing industry. Tesla hasn’t until recently tried to compete on price at all. 5. Markets couldn’t hold Holmes accountable for failures. Theranos spent its entire existence taking investments, “growing,” and spending money on its operations. The markets never really got the chance to properly value the company based on any sort of traditional business metrics. 6. There isn’t much heavy science in Tesla. Manufacturing an electric car isn’t that much different from making a gas-powered one. Sure, the propulsion systems aren’t the same, and it takes much longer to “refuel” an electric car by recharging than it does to pump 15 gallons of gas into a traditional automobile.